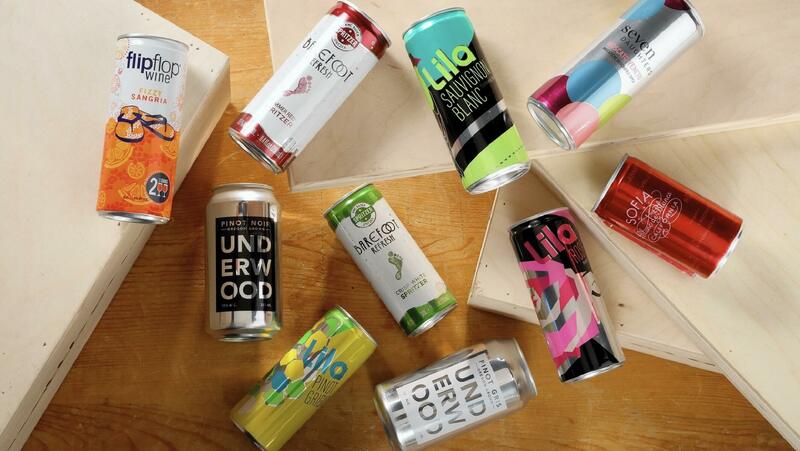 Blog Post | Wine in a Can:Wine in a Can: Is It About To Take Off? 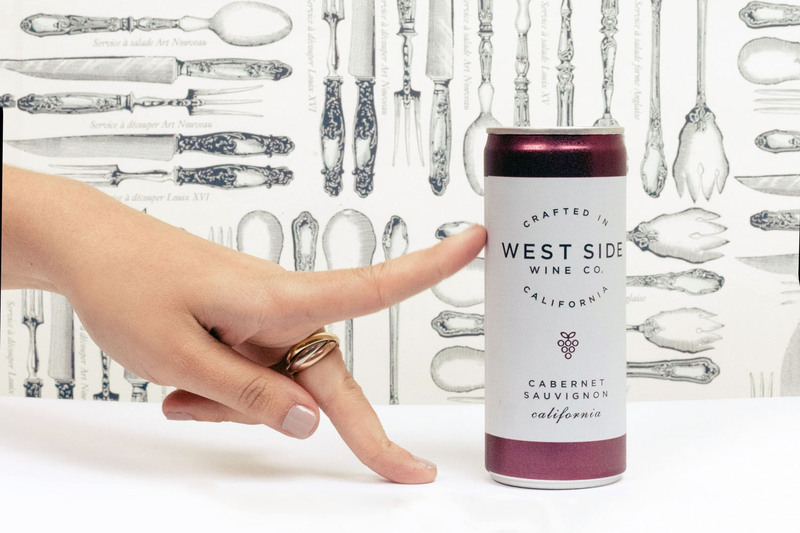 Wine in a Can: Is It About To Take Off? Times really are a-changing in the world of wine. It wasn’t so long ago that the wine shop still seemed to be the reserve of the stuffier adults among us, blindly reaching for bottles whose labels took their fancy, and hoping for the best. Wine descriptions were impenetrable, and wineries, wine critics and wine fans alike seemed to be on a mission to lock themselves away in an ivory tower, and collectively party like it was still 1899. The new millennium has turned (most of) that on its head. A glut of hip new wineries has sprung up across Australia and the rest of the world, organic, biodynamic and natural wines have become almost commonplace, and sommeliers are wearing jeans and are capable of speaking to their customers as if they are actual human beings. On top of this, wine bars and tasting rooms no longer look and sound like the inside of a Chris de Burgh video, and instead have become genuinely interesting, dynamic and fun places to be and hang out with friends. Even the appearance of wine has changed. When I was growing up, wine came in three easily recognisable colours. Nowadays, certain Spanish wineries are tentatively experimenting with vivid blue vino, and green wines from Portugal sit comfortably alongside the orange wines of Jura and Slovenia which have rocketed into fashion. It’s an exciting time to be alive, and a phenomenally good time to be a wine fan with more choice than ever before. And yet, despite all this progress and all these interesting developments, one of the latest trends in wine has managed to send shockwaves through even the more open-minded of us, and has the old school wine drinkers recoiling in horror. That’s right, I’m talking about wine in a can. Where is Canned Wine Popular? For a few years now, several millennial-focused wine companies have been bringing out canned wines, and seemingly revelling in the mixed bag of reactions they prompt. In the US, the marketing campaigns behind the largest of the first canned wine brands were, frankly, bizarre. They were marketed as hyper-masculine, lager-boy type drinks, supposedly because wine in parts of the US is seen as a ‘feminine’ product, and men are supposed to drink the chilled yellow water that passes for beer in that part of the world. However, it is clear that the product has grown and matured over the past two years, and certain parts of the rest of the world does seem to be beginning to get in with fad. The UK, Germany, Australia and New Zealand seem to be at the front of the queue, with Russia also dipping their toes into the canned wine scene. It seems highly unlikely that the French would allow it to even enter their country, and I imagine the other traditionalist countries of Italy and Spain would be similarly appalled. But even in countries where its popularity is growing, it seems as though the reaction to canned wine is marred by a deep sense of suspicion and distaste. Perhaps this simply goes to show just how conservative most of us are when it comes to such things - don’t forget, after all, that outside of Australia, the screw-top bottle is still seen as a far inferior product, despite being repeatedly proven otherwise. Despite the hesitance and negativity of the older generation, wine in a can is being well received by younger drinkers, and it’s worth taking a moment to think about why. It seems to me that part of the reason for its popularity could be put down to the irreverence and breaking from tradition that canned wine represents. It’s styled in much the same way as modern canned craft beers are, with an emphasis on trendy designs and labels, and often with punny, cheeky names which take aim directly at younger, more fashion-conscious drinkers. Furthermore, there is the sheer convenience of the can. It can be tossed into your bag without a moment’s thought, opened without the use of a corkscrew, and drunk without needing a glass - perfect for road trips, lunch breaks, and hanging with your mates in the park. Going for a barbeque on the beach with your friends? Canned wine suddenly becomes a reasonably attractive option, even more so if you’re more interested in having a refreshing drink than a thoughtful, slow tasting experience. Of course, it’s pretty much impossible to judge a drink based on the philosophies and thought processes that have gone into its creation. It really comes down to the quality of the product, and what it tastes like. In our experience, we have found that (surprise, surprise), canned wines are a mixed bag. Some are really quite good, others not so much… and I think we can all agree the exact same conclusion could be reached regarding bottled wines in general. Thankfully, Australia seems to be getting wine in a can just right - the best of the canned wines down under are uncomplicated, fruity and refreshing, and ideal for casual drinking outside. We have found they are often slightly higher than usual in residual sugar (which pushes the fruity profiles forward) and a better served chilled - even the reds. If you’re looking for some decent canned wines to experiment with, make sure you’re going for the stuff which is at the top of its game. 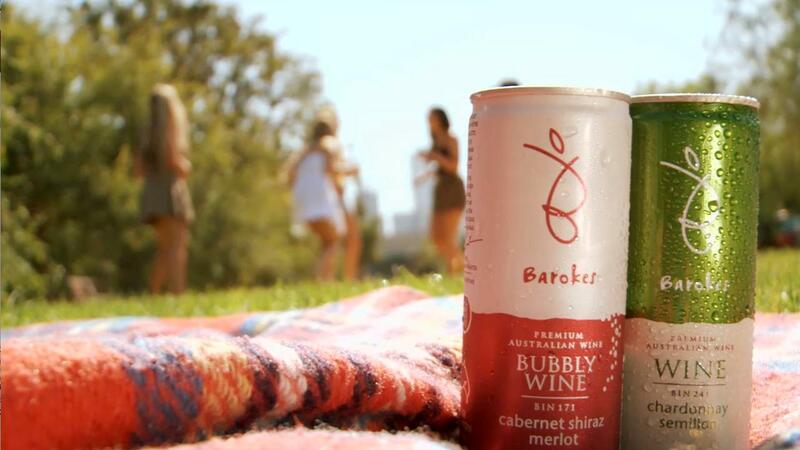 Barokes actually were the first company to successfully put wine in a can, and over the past ten years they’ve won a serious amount of awards and medals for their game-changing products. Misty Cove is another highly successful canned wine business with plenty of fans in Australia, and are flying the flag for New Zealand’s canned wine scene with some impressive Sauvignon Blancs. Even Innocent Bystander, the producer of everyone’s favourite Moscato, are getting in on the act, and are now bringing out their fizzy pink wines in canned form, which actually perfectly encapsulates the light-hearted and casual approach they do so well, and suits their bright and breezy flavours and aromas. Whether this particular trend is going to stick around is anyone’s guess, really. Canned wine is never going to be everyone’s cup of tea, and if you like your wines deep and complex, flavourful and aged, I can’t imagine you’ll find anything even remotely enjoyable in the canned wine aisle. As always, we encourage our readers to have an open mind, and to stick to the old saying: don’t knock it ‘til you’ve tried it! Unfortunately we don't have any to stock just yet, so in the meantime, have a go at our wine palate quiz and we will let you know the top 3 bottles we recommend for your palate!